Every company has its own specific requirements for collaborating with employees, customers, partners and suppliers. And even within an organization, those needs can vary over time and between projects. In today’s hypercompetitive business environment, the ability to make better decisions faster is critical to any organization’s success. And there’s simply no substitute for face-to-face collaboration when it comes to making those decisions. Polycom’s suite of enterprise video conferencing solutions eliminates the barriers of location, time, cost and culture that can hinder face-to-face collaboration. With the latest addition of RealPresence Cloud Video Meeting Services, a Polycom-powered Video as a Service (VaaS) solution delivered by qualified partners, organizations can now leverage the reliability and security of Polycom’s industry-leading video collaboration platform without needing to deploy, manage and support specialized hardware and software. 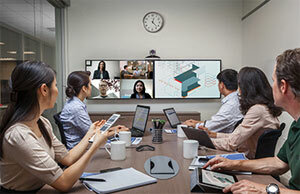 For organizations that have existing Polycom deployments—on-premise, hosted or managed—RealPresence Cloud complements and extends that investment by offering a flexible and scalable video conferencing solution to address their unique business requirements. The cloud-based service provides the same familiar and intuitive user experience, reducing training costs while increasing adoption rates. RealPresence Cloud is also a convenient and affordable solution for companies that want to discover the benefits of video collaboration for the first time, while providing the ability to expand their investment as their business needs grow and evolve. 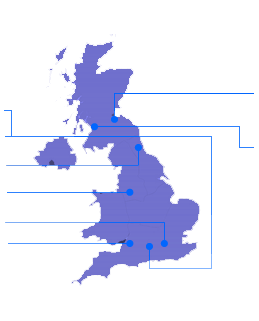 VideoCentric are fully accredited with Polycom in both Video Endpoints and Infrastructure, with the full Polycom RealPresence Infrastructure integrated into our own communications platform, alongside Cisco VCS, Microsoft Lync and LifeSize UVC, for testing, demonstration and long-term support. VideoCentric have also scooped top Polycom awards for extensive support and services offered to customers. Find out more about VideoCentric and Polycom’s partnership here. To discuss your requirements for your business, to compare the Polycom RealPresence Cloud with each of the world’s other leading video cloud services, or to find out more about how the Polycom RealPresence Cloud can benefit you, please contact the team at VideoCentric!